RR vs KKR, IPL 2019: Rajasthan Royals to take on Kolkata Knight Riders at Sawai Mansingh Stadium Jaipur: Ajinkya Rahane-led Rajasthan Royals would try to register their second win in the 12th edition of Vivo IPL 2019. The team has lost three games so far. On the other side, Dinesh Karthik-led Kolkata would be eyeing to register the fourth win. They have only lost one game in this season. 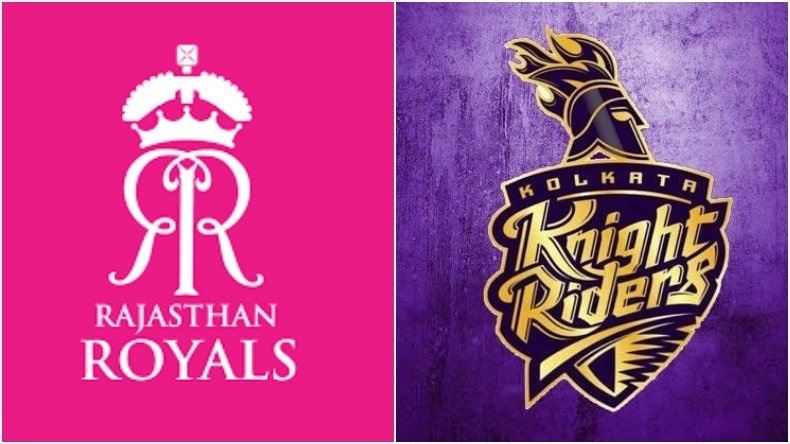 RR vs KKR, IPL 2019: Rajasthan Royals to take on Kolkata Knight Riders at Sawai Mansingh Stadium Jaipur: Rajasthan Royals (RR) is all set to take on Kolkata Knight Riders (KKR) in the 21st match of the Indian Premier League (IPL) today at Sawai Mansingh Stadium Jaipur. The match would be the second of the day and would start at 8 pm. Both the teams have won their last matches and would try to continue their winning streak. Ajinkya Rahane-led Rajasthan are staying at the seventh spot in the 12th edition of the Vivo IPL. They have only won a single game out of the four matches. On the other side, Dinesh Karthik-led Kolkata have attained the third spot in the points table. The team have won three out of four games so far. Kolkata is equipped with batsmen Chris Lynn, Robin Uthappa, Nitesh Rana, Shubman Gill, besides skipper Karthik. The team has bowlers Prasidh Krishna, Piyush Chawla, Kuldeep Yadav and Lockie Ferguson from their side. Significantly, Kolkata have got one of the best all-rounders Andre Russell, besides Sunil Narine. The brilliant all-rounder has so far scored 207 runs off just 77 balls in this season. He also smacked 22 sixes and 12 fours. He has played an important role in winning the games for Kolkata. In the match against Virat Kohli-led Royal Challengers Bangalore, it was Russell who snatched the match from Bangalore. He made 13-ball 48 and helped the team to register the fourth victory in the series. As per the results of past games in this season, Jamaican star has no other match. Rajasthan would try their best to stop Russell. Which of these milestones will be achieved tonight? Rajasthan have the likes of skipper Rahane, Jos Buttler, Steven Smith, Ben Stokes and Rahul Tripathi. On the bowling front, they have Krishnappa Gowtham, Dhawal Kulkarni, Shreyas Gopal and Jofra Archer. The 2008 IPL champions would be eyeing to bury the poor performance of the first three matches and follow the last match’s action. They beat Royal Challengers Bangalore by seven wickets on April 02. Rajasthan Royals squad: Ajinkya Rahane (C), Sanju Samson, Ashton Turner, Shubham Ranjane, Liam Livingstone, Jofra Archer, Stuart Binny, Steve Smith, Shreyas Gopal, Jaydev Unadkat, Ish Sodhi, Aryaman Birla, Prashant Chopra, Oshane Thomas, Varun Aaron, Riyan Parag, Dhawal Kulkarni, Krishnappa Gowtham, Jos Buttler, Shashank Singh, Manan Vohra, Rahul Tripathi, Sudhesan Midhun, Mahipal Lomror and Ben Stokes. Kolkata Knight Riders squad: Dinesh Karthik (C), Chris Lynn, Sandeep Warrier, Andre Russell, Robin Uthappa, Carlos Brathwaite, Shrikant Mundhe, Kuldeep Yadav, Harry Gurney, Lockie Ferguson, Piyush Chawla, Sunil Narine, Nikhil Naik, Shubman Gill, Nitish Rana, Rinku Singh, KC Cariappa, Prasidh Krishna, Joe Denly and Prithvi Raj Yarra.